ST. GEORGE — Two people died after being thrown from a motorcycle in a crash near Orderville Saturday afternoon. Update June 3, 3:40 p.m. Utah Highway Patrol has identified the motorcycle riders who died in the crash as 50-year-old Charles G. Rau, of Kanab, and 44-year-old Renee L. Chartier, also of Kanab. 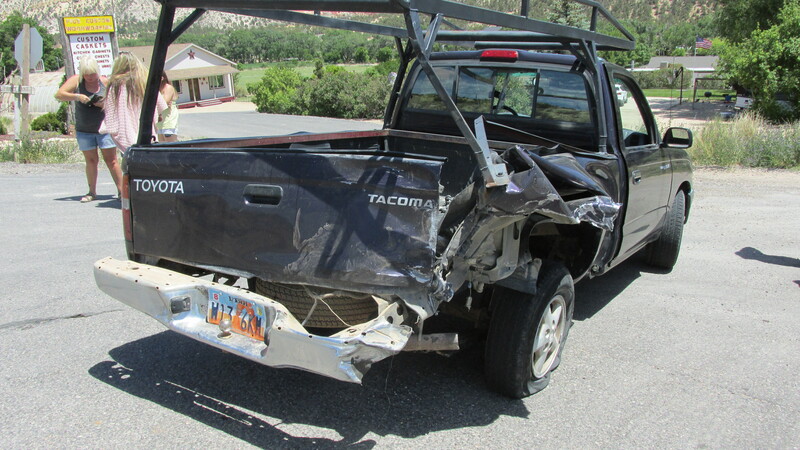 Utah Highway Patrol responded to the crash involving a man and a woman riding a Harley Davidson motorcycle and a Toyota Tacoma near milepost 85 on U.S. Route 89 in Kane County at approximately 2 p.m. The Harley was behind the Toyota at the time of the crash, according to a news release issued by UHP. The Harley rear-ended the Toyota, according to UHP, causing both riders to be thrown from the bike. They died at the scene. UPH identified the riders as 50-year-old Charles G. Rau, of Kanab, and 44-year-old Renee L. Chartier, also of Kanab. No one in the Toyota was injured, UHP said. Helmets would have helped but speed was a factor, not paying attention to th3 rd and maybe sweetie interferred?